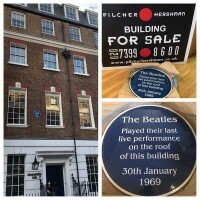 Westminster Council unveiled a blue plaque at 3 Savile Row to commemorate it as the site of the Beatles final live performance on 5 April. The NYPD police logs detailing the officers assigned to the visit of "Beatles singing group" in February 1964 have been donated to Roag Best's Magical History Museum in Liverpool by the son of one of the officer's (who seems to have "liberated" them from the records store just before they were due to be destroyed). Sculptor Clive Duncan, a drinking buddy of George, will be unveiling a bronze of George at the annual exhibition of the Society of Portrait Sculptors at La Galleria in London in June. If you look at pictures of George Harrison , there are so many aspects of his face and hair that make people think of him in different ways. Sometimes he had long hair and beard, other times his hair was very short. My period is the late Eighties and early Nineties. That was the only period where I could say I had a real memory of him, not only of his features but the attitude and character. He did have quite a serious expression for most of the time I remember. He knitted his eyebrows and had very strong, powerful dark eyes. The piece made itself in a way, the memories were so fresh. A piece on the restoration of John's psychedelic Gypsy caravan, though I'm not sure there's anything new to a story that's been around a while. Apple lodged a lawsuit on 10 April at the US District Court for the Southern District of Florida against unnamed defendants of infringing its 'The Beatles' and 'Yellow Submarine ' trademarks with fake goods being sold online. In addition to asking the court for injunctive relief, Apple Corps has requested an order that any online marketplaces that host the counterfeiters to disable their seller IDs and to remove all of the infringing goods. Apple Corps has also requested either triple damages or statutory damages from each defendant of $2 million per each counterfeit trademark used. 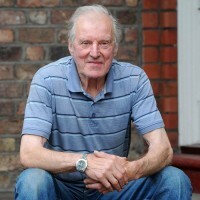 Regarded by many as the best drummer in Liverpool, occasionally sat in with the Beatles and was (reportedly) offered the chance to replace Pete by Brian on the day Pete was sacked, saddened to hear of the death of Johnny "Hutch" Hutchinson on 12 April at the age of 79. "...Brian was there and kept looking at me strange. "I got off stage after the gig and had to zoom off. Brian said, 'I was looking at you to see how you'd fit with The Beatles'. "I joked, 'I don't really.' He said, 'You do, I want you to join The Beatles.'" Johnny then remembers telling a shocked Brian: "I don't want to play for The Beatles, Brian — I've got my own group. "I would not join The Beatles for a gold clock. "There's only one group as far as I'm concerned and that's The Big Three. "The Beatles can't make a better sound than that and Pete is a very good friend of mine." It wouldn't have worked. Hutch wasn't much of a Lennon fan. Wow, those Big Three recordings sound brilliant. They definitely were great musicians. Rest in piece sir.